"Which hair weave products should I use to care for my hair extensions?" Finding the right hair weave products to care for your human hair weave can mean your hair weave maintains its "just done" look for as long as you want to wear it. Human hair weave maintenance can be divided into three areas; daily styling (which includes combing and moisturising), washing and lastly nourishing (which includes conditioning). All human hair (whether growth, wig or extension) need moisture, lubrication (oil) and protein (conditioners); all these elements care for and nourish hair to keep it healthy (supple, soft and strong). Great hair oils (and butters) are plant-based and include almond, argan, avocado, castor, cocoa, coconut, jojoba, olive, rosehip and shea and cold pressed versions contain the highest levels of nutrients for hair. There are two ways to give your hair weave the oils it needs to remain strong, smooth and supple. Use a water-based moisturiser that contains plant based oils or butters and doesn't contain mineral oil (mineral oil sits on the surface of the hair and trapping dust and odours...hiss!) and moisturize your hair weave (and your own growth hair) on a daily basis - a light misting is fine. Oils help seal in moisture, so after washing your hair apply a small amount of your chosen oil on the damp hair and distribute it using a wide tooth comb or your fingers. 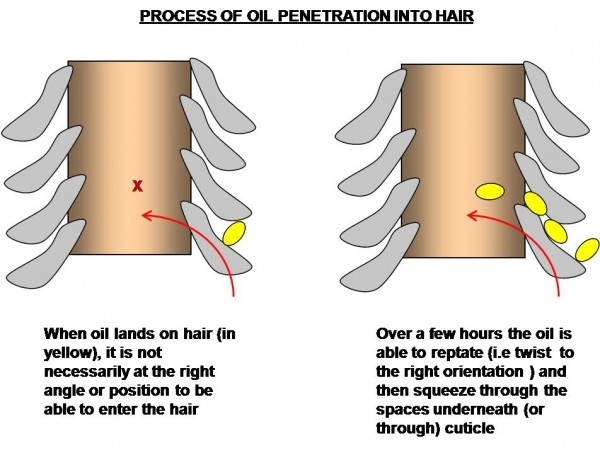 Don't rub or massage the oil into wavy or curly hair as this can cause the texture to fray and become frizzy when dry. There are differing views and there are also different types of bonding adhesives but your bonding glue may be affected by the ingredients in moisturizers, serums and hair oils - by the way oils are frequently used to help remove bonding glue (or glue residue) from hair. The last thing you want to do is inadvertently apply anything to your freshly adhered hair weave and cause it to come loose. The best types of oils are listed above and you can still use these on your glued-in hair weave but the best way to do it is to use an applicator bottle or spray bottle. Always work from the mid length downwards or lift each track so you can see the attachment point and apply products a few centimetres from the glued section. The best tools to apply oil to your hair (or scalp if needed) are our ten best little friends... Fingers. Use your ring and little fingers to locate the tracks and use your forefinger and index fingers to apply the hair oil (use the oil sparingly to avoid it running into the tracks). Okeydokey, nourishing oils for hair weave over and out, but you can check the links at beginning of the guide to find out about daily styling products, washing methods and conditioning products that you can use on hair weaves. For more information about hair weaves and hair extensions, check the Hair Extensions Q&A section or if you simply want to know when there are new articles and guides about hair extensions, wigs and hair pieces then join our blog.